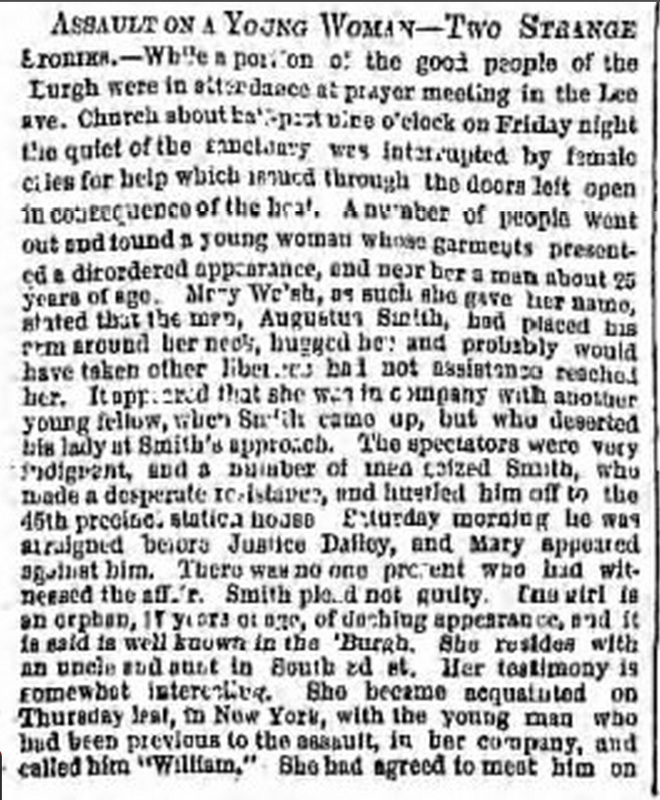 Smith had a very different testimony. According to him, he returned from the army to find that his wife was having an affair with William, Mary’s lover. He set out to find this man and found him at the church on Lee Ave with a girl, in an improper position. 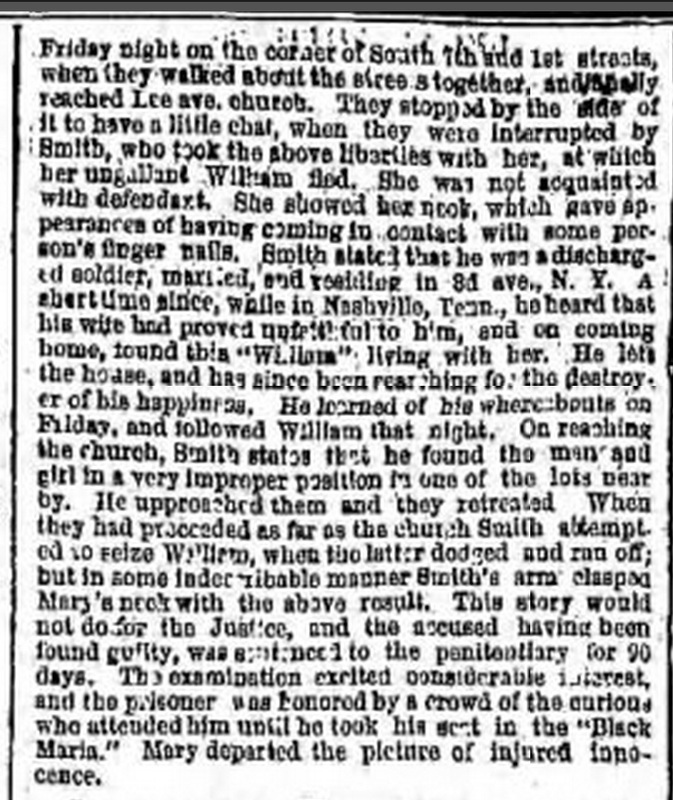 William fled, but Mary stayed, and Smith’s hand twisted in a way that accidentally resulted in bruises on Mary’s neck.The judge didn’t buy Smith’s testimony and pronounced him guilty and sent him away for ninety days.